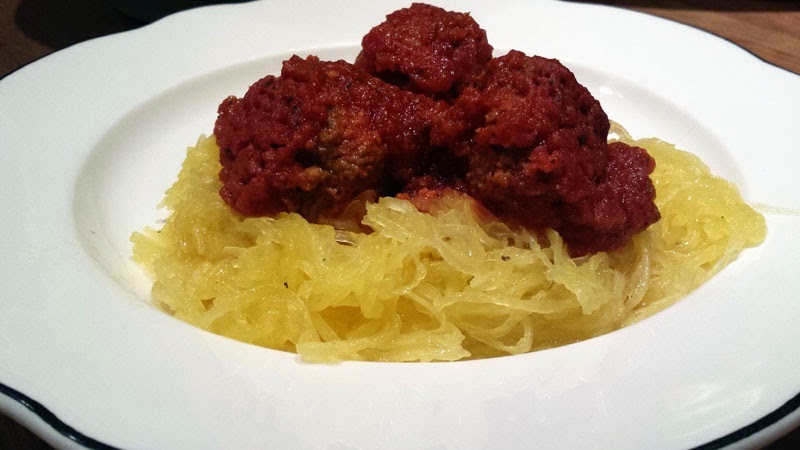 Have you had a chance to make our Turkey Meatballs? 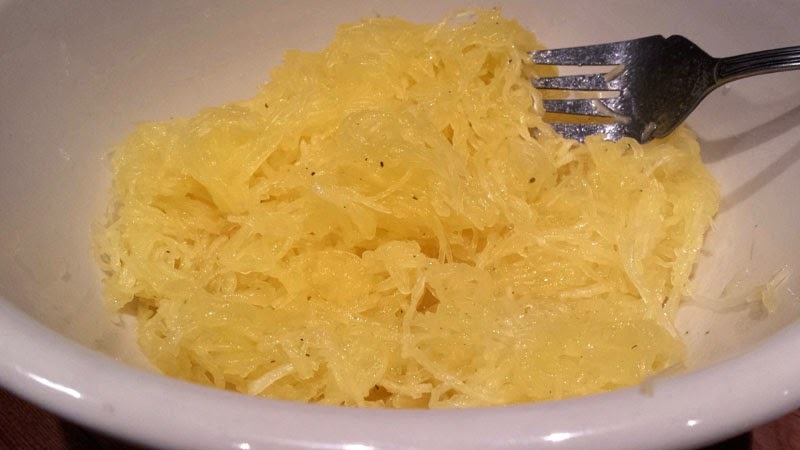 You've put it off because you don't want to eat starchy, high carbohydrate infused spaghetti? Well, we've found a GREAT alternative to solve that problem. 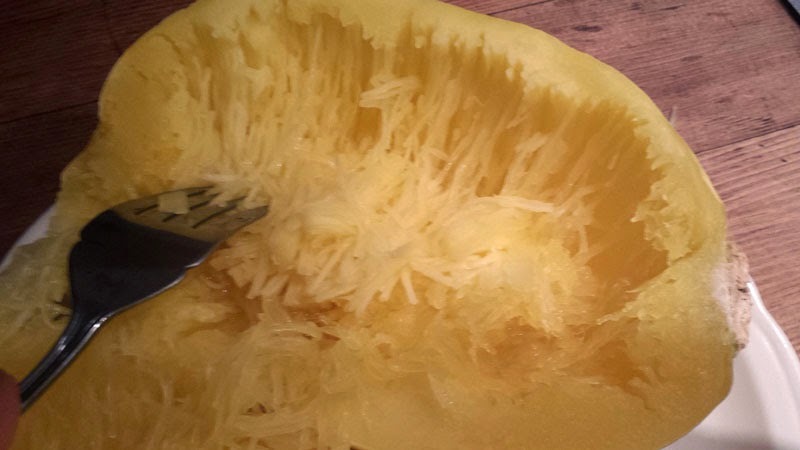 First, very carefully put several slices all around your squash. This will make it possible for steam to release as it cooks. You don't want it to explode in the microwave! 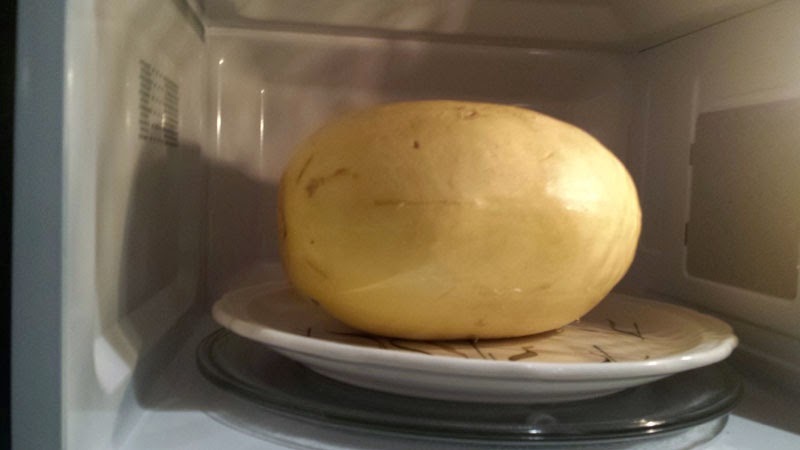 When finished put your squash on a microwave safe dish. Microwave it on high for 6 minutes. Using a towel or hot pad, turn it over, and microwave it another 6 minutes. Again, using a towel or hot pads, remove the dish with the squash from the microwave and let it sit for a few minutes on your counter. 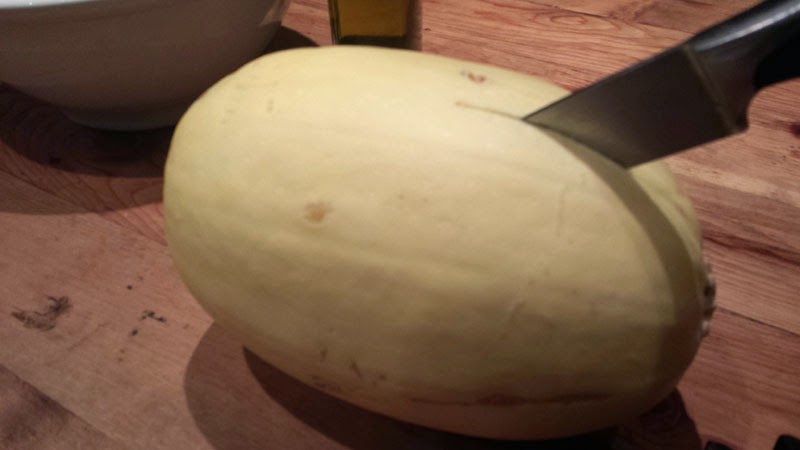 Slowly cut your squash in half. It will be hot and let off some steam so be careful. 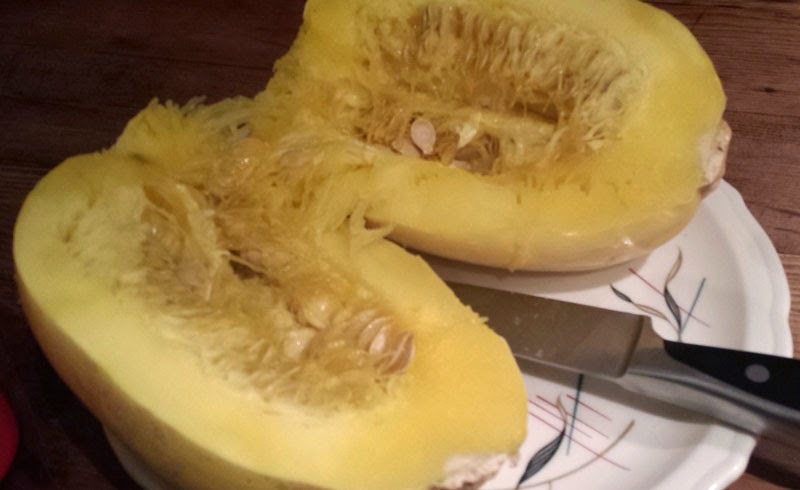 Using a spoon, scrape the seeds out. 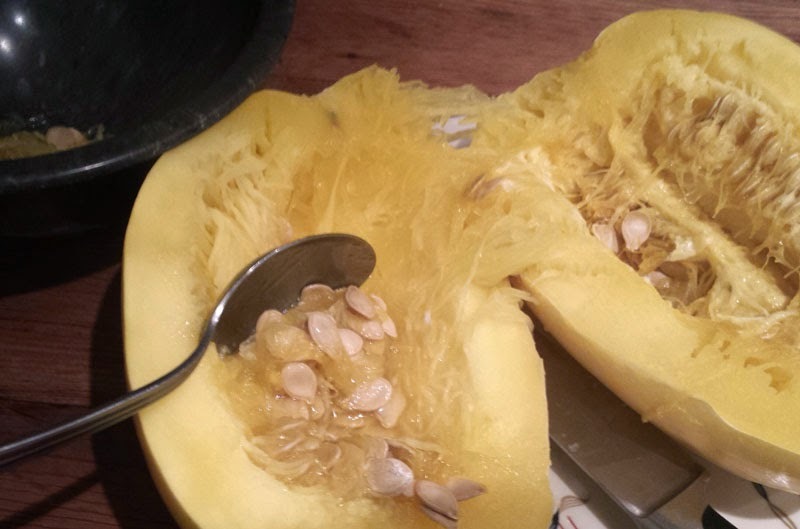 Once the seeds are out, use a fork and start scraping the squash away from the skin. It will come away from the skin in spaghetti like strings. 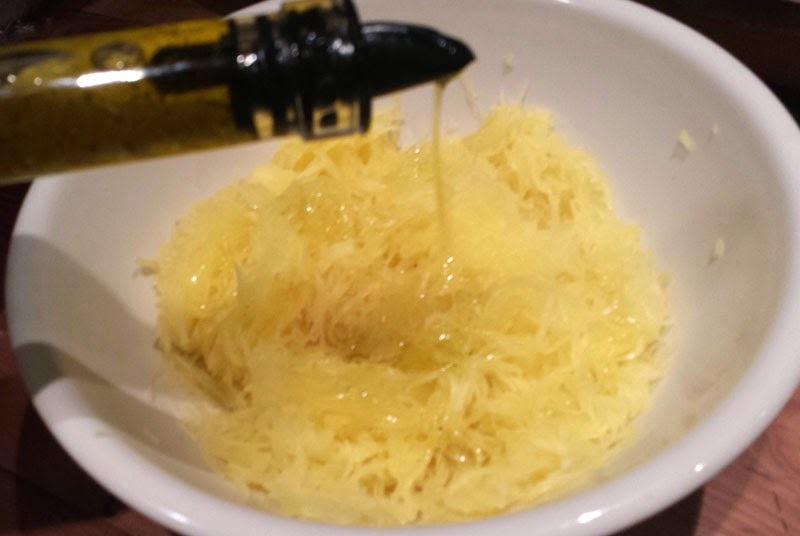 Put this into a bowl and drizzle your Olive oil over it. Stir it. Sprinkle a little salt and pepper to your liking. Stir. 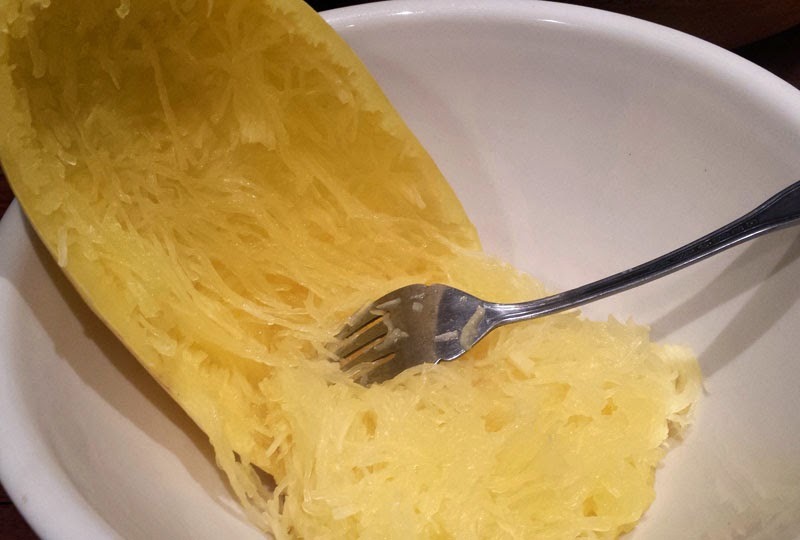 There you go, a quick and easy alternative to regular spaghetti. It's DELICIOUS too! 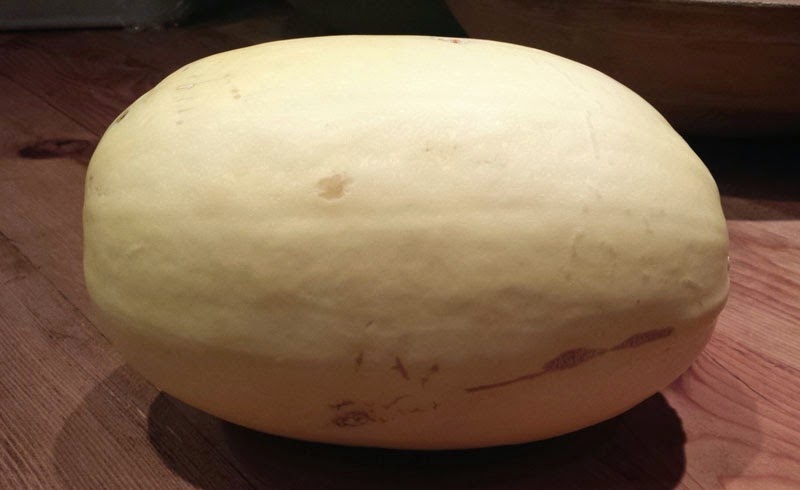 Amount of servings vary due to the size of your squash.